Generoso and Lily’s Bovine Ska and Rocksteady: BB Seaton’s Soul Beat Label 11-17-15 – LILY & GENEROSO 4EVER! 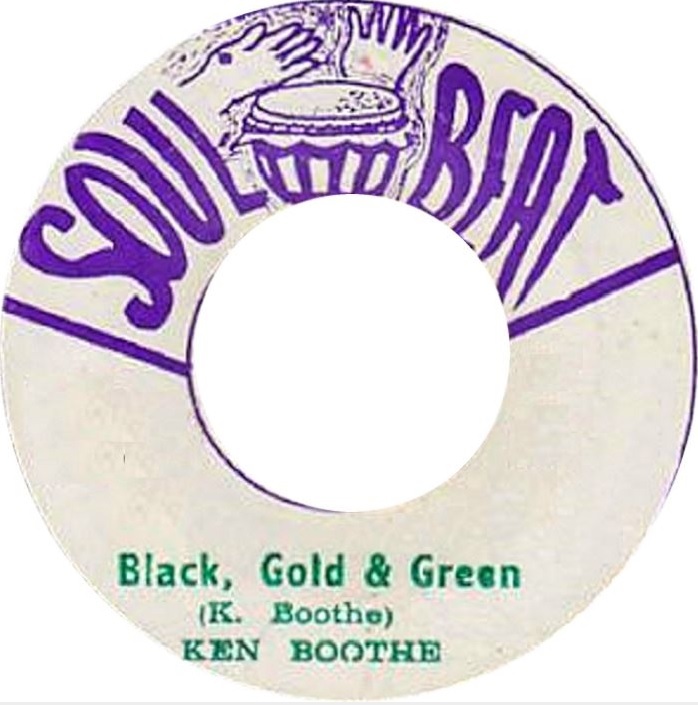 A Great Ken Boothe Cut On Soul Beat! While we know BB Seaton best as a member of the Gaylads, he was also a producer, songwriter, and A&R representative. Consequently, it is of no surprise that he opened up his own record label, which is still active, Soul Beat. BB Seaton started as a multi-talented musician early in his career. He first arrived at Studio One in early 1960 as a solo artist, recording the first track he wrote, “Only You,” as Harris Seaton. Before recording further as a soloist, BB met Delano Stewart, and together, they recorded as the Diamond Twins and Winston & Bibby for Coxsone. Inspired by The Impressions, Winston and BB added Maurice Roberts to the duo, thus becoming the Gaylads. The group would stick exclusively to recording for Studio One from 1964 to 1967, with BB producing, writing, and even auditioning everyone from Pat Kelly to the Kingstonians for Studio One. However, after a couple of disputes tied to royalties and the decision to take Alton Ellis and Ken Boothe to England for a tour rather than The Gaylads, who had been completely loyal in their recordings to Coxsone Dodd, the group left Studio One and went over to Sonia Pottinger and her Tip Top label. While at Tip Top, Delano left the group to move to America, so when the group next went to Leslie Kong’s Beverley’s label, BB and Maurice would recruit an extra member. After experiences recording for other producers and labels, BB opened up Soul Beat, which began releasing original recordings in Jamaica in 1971. Soul Beat also had a branch in the UK, and as a result, both released productions of each other in their respective countries. Consequently, some productions have BB Seaton at the producer helm, and others do not. We appropriately kicked off this spotlight on the Soul Beat label with a track from The Gaylads. For the original Soul Beat recordings, the Conscious Minds performed as the house band. The Conscious minds were: Arnold Brackenridge on trumpet, Derrick Hinds on trombone, Derrick Stewart on drums, Joe White on piano and vocals, BB Seaton, Ken Boothe, and Maurice Roberts on vocals as well. Again, can listen to our full show from November 17, 2015 HERE. Subscribe to our show on Mixcloud, it’s FREE and you’ll get an email every Tuesday when our new show goes up.